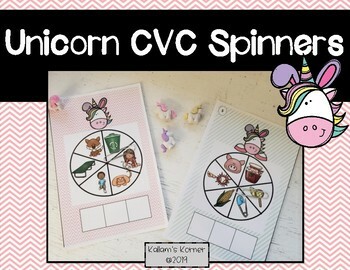 Unicorn CVC Spinners is a great way to practice identifying, spelling and sorting CVC words. 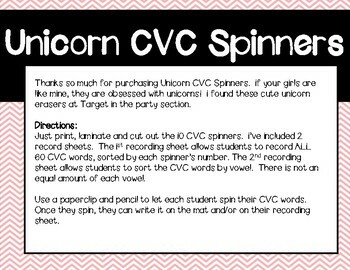 With 10 spinners and 60 different CVC words, students can write each of the CVC words or sort them by vowel. This works in reading small groups or even individually. 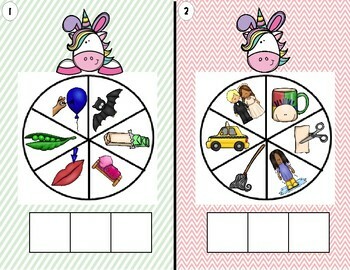 With 2 recording sheets, you can differentiate based on student needs.